Why choose Group Exercise at 3-1-5? Come along to our open weekend and find out. P.S Di you know ALL our classes are inclusive of membership for our members and for non-members we have a selection of pay as you go options too! Something for everyone! It’s inspiring and motivating to be surrounded by dedicated, like-minded individuals and supportive people all working hard together. At 3-1-5 we have professional, educated, motivating individuals who are the best instructors in the area to help you reach your goals whatever they may be. Group Exercise at 3-1-5 is a great way to help motivate yourself and others to dig deeper and push harder in workouts. Group Exercise at 3-1-5 is a great way to get a workout in without having to think or plan. Each class is structured with a warm-up, a balanced workout and a cool-down. Our instructors warm-up is designed to help you properly raise your heart rate while loosening your joints and muscles before jumping into strenuous activity. 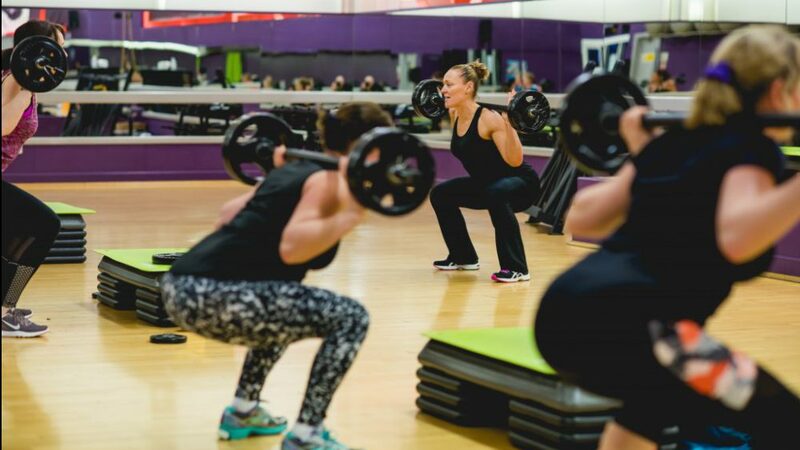 Our fabulous instructors at 3-1-5 will coach you through each segment of the workout. The cool-down will help you safely lower your heart rate and stretch all the major muscles worked during class. It’s our fitness instructor’s job at 3-1-5 to not only show proper form, but to also make sure that everyone in the class is executing each exercise the right way (Technique) Not only is proper form important for your muscles to reap the most out of every exercise, but it also helps eliminate potential injuries. I can’t stress enough how important it is to execute every exercise safely and correctly. At 3-1-5 we have a fabulous range of classes, there is something for everyone, all ages and abilities!!! Body Pump, Bootcamp, Spinning, HIIT, Zumba, 3-1/5 Barre, Drums, Pilates, Body Balance, Yoga – the list goes on. There are many types of group exercise classes we have to offer. Having a variety of classes in your weekly workout regimen is a great way to create muscle confusion, which keeps your body guessing and ramps up your metabolism. It also helps prevent boredom. At 3-1-5 we require members to sign up in advance for specific classes. This is a great way to keep yourself accountable for your workouts. If you’re signed up and it’s on your schedule, there’s a good chance you won’t skip it. Book your class NOW!!! There’s really no other way to put it: Group Exercise at 3-1-5 is fun. Between the upbeat music, a great workout and a group of people motivating each other along the way, it’s an enjoyable way to exercise. 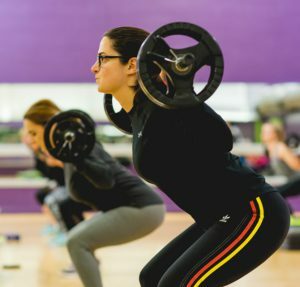 If you’re looking to add a little more variety and fun in your fitness life, 3-1-5 can give you everything you need, group exercise classes may be just what you need. Any questions or if you would like a taster session on any class we offer please book in with me at reception. 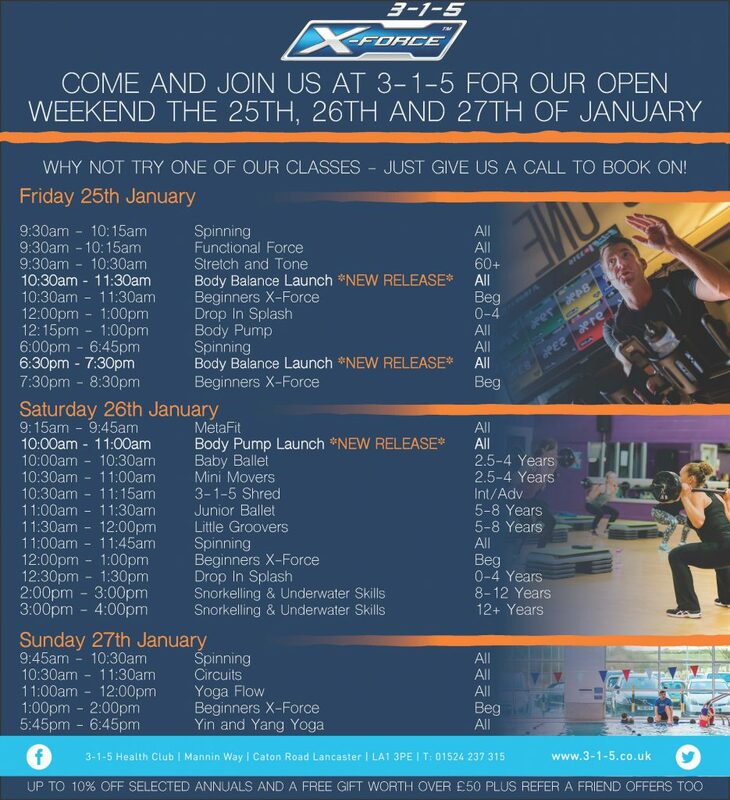 I look forward to helping you on your Group Exercise journey at 3-1-5 and hope to see you at our Open Weekend…..